Harriet Nsubuga Mpanga has several years of experience as an enterprise development and marketing consultant with Micro, Small and Medium Enterprises (SMEs). Harriet designs and conducts the WCFJC Women in Business (WiB) quarterly workshops. She also conducts follow-up sessions with each participant and provides them with tailored individual coaching. She has undertaken projects for the Centre for Development of Imports from Developing Countries (CBI), United States Agency for Internal Development (USAID), the International Trade Centre (ITC), the Danish Agency for International Development (DANIDA/aBi TRUST), HarvestPlus Project, AgriNet, TruTrade Africa. Prior to her development work, Harriet was the District Agricultural Officer for Kiboga District, Uganda. She holds a Master of Agricultural Economics from the University of Sydney, Australia and BSc. in Agriculture from Makerere University Kampala, Uganda. 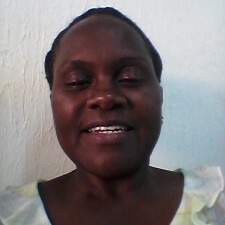 She has also undertaken short courses in Enterprise Development by Business Development Centre, Uganda and Enterprise Uganda, Participatory Planning, Monitoring and Evaluation – PPPME by University of Wagenigen- Netherlands, Result Chain measurement approach by HPC- Netherlands, Market Information Systems by Fintrac Washington, USA and GIS mapping in Uganda.